Ambassador Bird Stickers and Buttons! 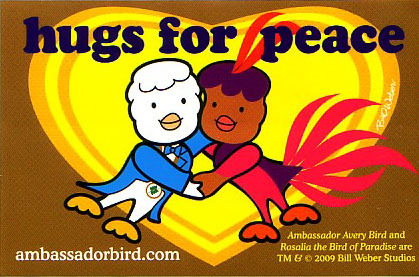 Ambassador Bird� is the international symbol of peace -- the white dove -- re-imagined as a superhero for young children. 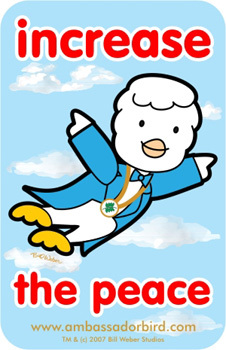 He stands for peace, friendship, and courage. Ambassador Bird� empowers every child to be a leader in his or her own life, and to stand up and speak out for their family, their community and their world.